If you need to narrow down your choices for a smart home master controller you’ve come to the right place. In this guide we will go over the best Z Wave hubs to control your smart home. Our list contains hubs that simple enough for everyone in the household to use, but gives you enough raw power to geek out for days. There are several factors to consider when choosing the best Z Wave hub for your home. Before we get too far into that we need to make sure that you have a clear understanding of what Z Wave technology is. Z Wave is a communication protocol that was developed by a startup company out of Denmark called Zensys, Inc which was subsequently bought out by Sigma Designs. This communication protocol enables home automation devices to communicate with each other using RF for signaling. A Z Wave network can contain over 200 different nodes This means that you can, at least in theory, connect over 200 home automation devices to a device hub, assuming the hub can handle it. The goal of using Z Wave technology is to create a generic communication protocol that can handle different profiles, otherwise known as languages that different manufacturers use for their various home automation devices. A hub is the network controller that is used to setup and subsequently manage a Z Wave network. Now that we have an understanding of what a Z Wave hub is, let’s take look at the most important factors to consider when purchasing one of these products. While this may seem obvious when it comes to any purchase, price is definitely a good place to start when selecting your Z Wave hub device. The number of available hubs on the market is already large and seems to be growing on a daily basis. You can certainly begin to narrow down your search by establishing your budget for your new hub. The other reason that price is such an important factor is that the hub is only a portion of the smart home purchase. The hub needs to have other home automation devices to control. You will have to purchase them separately. Depending on how many devices you want to make use of can have a major impact on the amount of budget you have left over for the hub itself. Since we talked about this as part of the hub price, we might as well talk about it on its own merits. Z Wave networks can handle over 200 different nodes. The big concern here is knowing how many nodes your controller handle effectively. If you are going to spend the money on several different home automation devices then you certainly want all of them to function correctly with your new hub. Also, hubs for Apple's homekit are lacking right now. So if you are locked into their ecosystem just know that it will be a project to get zwave and other devices to play nice. As we mentioned earlier, different manufacturers can use different profiles, or languages, that their devices can communicate with. Some examples of these are ZigBee, WiFi and Universal Powerline Bus (UPB). When you are choosing your home automation devices, you will need to pay close attention to the languages that they use. You will then need to ensure that your hub is capable of communicating with the devices you have chosen. Hopefully, you are noticing that the purchase of a hub needs to be carefully evaluated with the list of home automation devices that you intend to use. Another important factor to consider is how you are able to access and control your hub. Most hubs these days will come with a smartphone app that you can download and then use to interact with your hub. Depending on the complexity of the app, you may be able to adjust different devices and set up various automatic events. You will also want to know if you can access your Z Wave hub from your laptop or computer. Some hubs will allow for this while others rely exclusively on their smartphone apps. Your ability to control and manipulate your hub will go a long way towards determining the ease with which you can set up your desired levels of home automation and scene creation. Are You Safe From The Internet? With Cloud or Local access, we are referring to the communication method your Z Wave hub can have with the home automation devices that are paired with it. Some hubs will connect directly with paired devices through a network that is established locally within your home. This is similar to you connecting your laptop or smart device to your home network. Other hubs will communicate indirectly with paired devices through a server that is located in the cloud. There are certainly benefits to having your communication handled via the cloud especially if you routinely want to access your hub remotely. 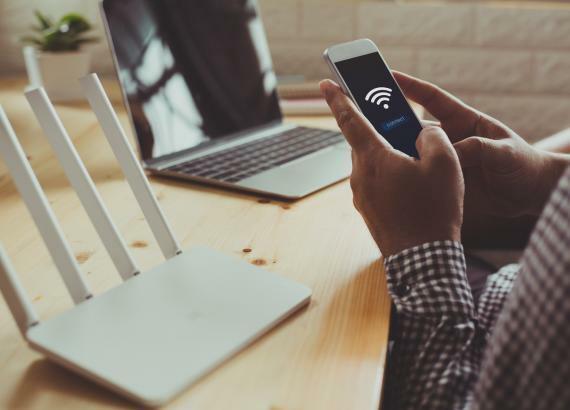 The obvious drawback occurs when the Internet connection from your home is disabled or down. If that is the case, then your cloud-based hub will not be able to communicate with the paired devices. Some hubs do allow you to use a cellular connection as a backup alternative in case of an Internet outage. Hubs that connect locally will still be able to communicate with paired devices if your Internet connection is down. You will not be able to access your hub using the Internet during that time unless you have a cellular backup connection. This is where we get into the unique capabilities offered by a particular hub. When talking about the level of automation, we are referring to the hub's ability to create automation with paired devices. Different hubs will offer you a set of options for programming your paired devices. Your desired level of complexity when it comes to managing your paired devices will determine how important this is to you when it comes to your hub. Finally, different hubs also offer additional features that may be unique to a certain brand or certain models. Again we are talking about the level of complexity and control you want to have in setting up your home automation. Some folks may prefer to keep it simple where others may choose to take their house to near autonomous performance. The benefit of Z Wave technology is that the possibilities are nearly endless. Now that you have a good understanding of the basics of Z Wave technology and the important factors to use when selecting the right hub for your home, let’s take a look at our picks for the 5 Best Z Wave hubs available today. We will start our list with a name that may be familiar to your when it comes to home technologies. Samsung has long been a household name for many consumer electronics products such as televisions, tablets, and smartphones. So, it may come as no surprise that they also offer a quality Z Wave Smart Home hub. When you begin to compare the Samsung SmartThings hub to competitors you will quickly notice the attractive price tag. This will allow you to allocate more funds from your budget toward the home automation devices that you really want. The SmartThings hub allows you to connect a wide variety of home automation devices, including lights, speakers, locks, thermostats, and sensors. This hub also handles communication with ZigBee, Z-Wave and WiFi protocols. You also have options to consider when choosing how to operate your Samsung hub. The smartphone app has an intuitive interface and is simple to install. Since Samsung is a strong competitor in the smartphone market space, it’s no surprise that their SmartThings app is a powerful tool. You can also use Amazon Alexa to control your Samsung hub. You can use use the app or Alexa to teach your house what automation you require when you're asleep, away from home, or lounging in the family room. 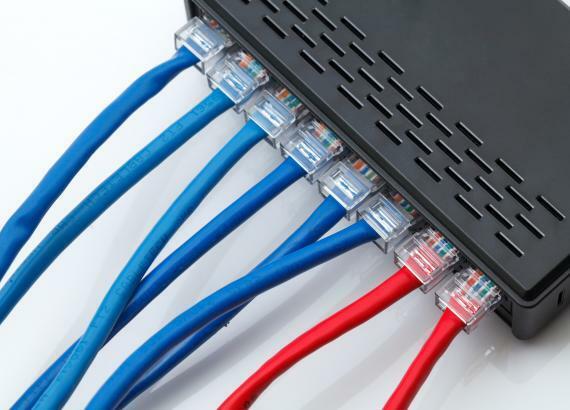 To connect your new hub to your home network, you will have to connect it directly to your router via the Ethernet port connection. The hub is then powered using an in-wall power adapter. If the power goes out, the hub has a battery backup system consisting of 4 AA batteries that should give you about 10 hours of operation while the power is out. The Samsung SmartThings Smart Home hub is easy to install and simple to configure. The smartphone app is easy to learn and will quickly have you automating your lights and controlling the temperature in your house. You can also use it to set up security monitoring to protect your family and your personal assets. Samsung has also made a full line of SmartThings accessories such as wall outlets, thermostats, door locks and light switches that will easily integrate with the SmartThings hub. The Wink Hub 2, from the company with the same name, is another sleek designed hub that will fit nicely into most budgets. With its ultra slim profile, it also fits well into most home decors. This can be especially beneficial if you must place your hub in a conspicuous location within your house. The Wink hub has the ability to integrate with all the major communication protocols, including Bluetooth LE, Kidde, Clear Connect, and ZigBee. You can also control home automation and other products such as iOS, Apple Watch, Android, and Android Wear. You can even use your Wink Hub to program automation using IFTTT. The smartphone app is noted for its user-friendly design and intuitive interface. The Wink app can easily keep you connected to your home and all of your home automation devices that it is paired with. You can enjoy this access regardless of where you are. Pick and choose the automation devices that you wish to have and easily control them all from one simple app. The installation process and subsequent setup of the Wink Hub 2 is another part of this product that can be done easily. This unit features a powerful WiFi radio and Ethernet port connection that allows you to simply plug into your home router and then connect up to 530 devices. The Wink Hub can handle that many devices thanks in large part to its large processor and 512MB of memory. It also has an Auto-discovery feature and an improved setup process that combine to enable the setting up of your smart home up a smooth and easy process. 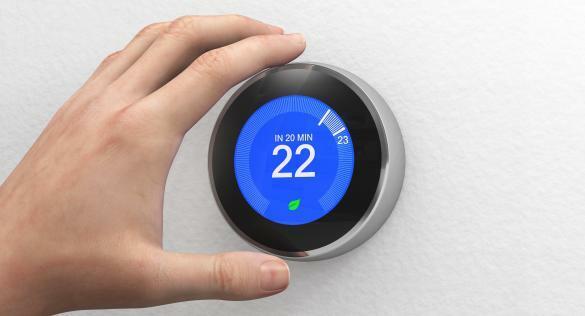 The Wink Hub 2 boasts a long list of products that can be connected to your home including major brands such as GE, Phillips, Kwikset, Schlage, Carrier, and iHome. 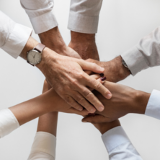 This long list of brands combined with the number of protocols that can be supported will allow you to add automation to your home for controlling lights, temperature, door locks, and security cameras. If you are a fan of the Iron Man movies and dream of being Tony Stark, then the HomeSeer HomeTroller S6 Home Automation Controller may be the best choice for you. It certainly comes with a ton of features, including its own voice control, but you can expect to pay a premium price for all those extras. This hub does deliver and may very well earn that higher cost. So when you think about automating everything for your home, the Home Troller S6 can control everything. First of all, it is compatible with a wide range of iOS and Android devices. This capability sets the stage for you to be able to control lights, thermostats, sprinkler systems, door locks, appliances, HVAC, security systems and audio/video components. The S6 is also fluent in all the major protocols which means you can choose from a wide variety of manufacturers such as Aeon Labs, RCS, GE, Leviton, Linear, Honeywell, Everspring, Evolve, Kwikset, Schlage, Baldwin, Yale, Cooper, Fibaro, and FortrezZ. It should be noted that the hardware interfaces are sold separately. This does mean that you would have to buy the Z Wave interface. The price of the interface is very inexpensive though. The HomeSeer HomeTroller is built on a streamlined version of the Windows 7 Pro operating system. Previous versions were built on a Linux platform, which was not as user-friendly as this newer Windows-based version. The hub comes in a solid and sturdy metal casing that features multiple USB ports and two serial ports. A hub with this much potential requires a little extra effort to install. This can cause the novice smart home user to become frustrated with the setup process. The company does offer a strong technical support team that can assist you with any installation challenges. If you are only concerned with a hub that can solidly support Z Wave technology then the Vera Control VeraEdge North American One Application Control makes for a strong candidate. This easy to install control hub is simple to use and recognized for its reliability. It has been used by consumers worldwide perhaps because it requires no monthly fees or contracts. You can connect over 200 devices to your VeraEdge hub using products from manufacturers such as Amazon Alexa, Nest, Schlage, Yale, Kwikset, and Philips. The Vera Control VeraEdge supports WiFi and Z Wave technologies. Vera provides a smartphone app that allows for user-friendly control of your home automation devices. You can also connect it to a voice control unit such as Amazon Alexa. The smartphone app interface features a variety of one-touch settings including Home, Away, Night, and Vacation. The interface also allows you to view multiple security cameras at once. 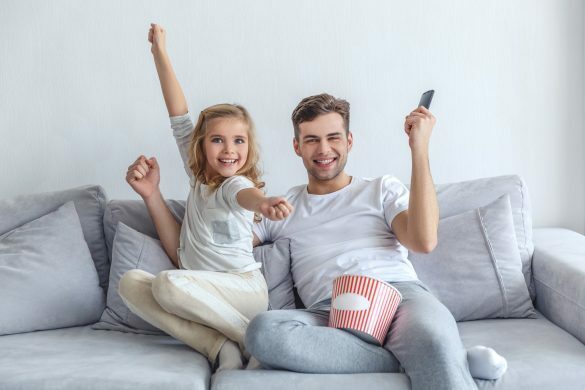 For the novice smart home user, the VeraEdge offers a number of unique benefits such as the ability to add a camera and a door lock that allows you to watch your child arrive home safely from school and unlock the door to let them in and then safely lock it behind them. 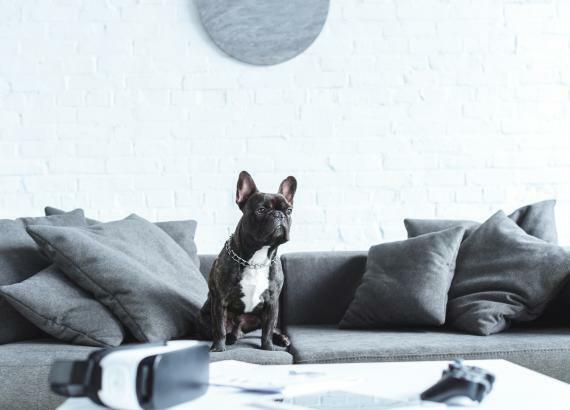 If you are looking for some fun with your smart home system, you can install a Vera VistaCam to watch and then share the funny things that your pets do when they are home alone. 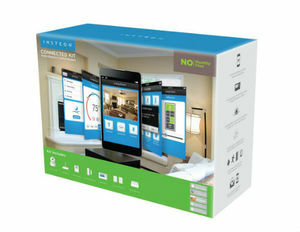 Our final entrant on the list is the Vera Control VeraLite-US Smart Home Controller Hub from Mi Casa Verde also features the combination of easy installation, universal compatibility, and a reasonable price. The best part is that you can get all of this functionality with no monthly fees. If you are concerned about control, then the VeraLite may be a good option for you. It can give you the ability to control it from anywhere in the world. As long as you can get access any Internet browsing device, you will be able to access your Vera network for free. This means that you can use your smartphone, your laptop while you are in the coffee shop or your workstation at the office. This feature can prove to be a real convenience for those that are often away from home for business or that enjoy traveling frequently. The user interface of the app is convenient and features a process of setup that will make installation of your home automation devices easier. Another unique feature of the Vera Control VeraLite is its Energy Monitoring function. With it, you can use the energy metering capabilities of the interface to focus on reducing your energy bill which has the potential to save you money in the long run. With this hub, you can now automatically control the comfort settings in your home and relax knowing that you can also keep the power bill down at a reasonable cost. The universal compatibility of the Vera Control VeraLite allows you to choose from over 650 devices that are Z Wave certified. This should give you plenty of choices when it comes to finding the right home automation devices to install and manage from your VeraLite hub. With this flexible controller from Mi Casa Verde, you can easily manage home security through the use of cameras and door locks. You can also receive important alerts such as when your child gets home from school safely or that it just got wet in your basement. You really can't go wrong with any of the Z Wave hubs that we have on our list but the one that tops them in most categories is the Samsung SmartThings Smart Home Hub. The Samsung hub has the strongest combination of price, compatibility, and ease of use. It also gets a boost from the excellent smartphone app that allows you to easily control your home automation devices from one convenient app no matter where you are located. In addition to being compatible with a wide variety of devices, the Samsung SmartThings Smart Home Hub can also be easily integrated with an entire line of Samsung SmartThings devices. Unless you are going for the ultimate home, in which case you would want the HomeSeer hub, the Samsung controller will give you more reliable control over the widest range of devices.